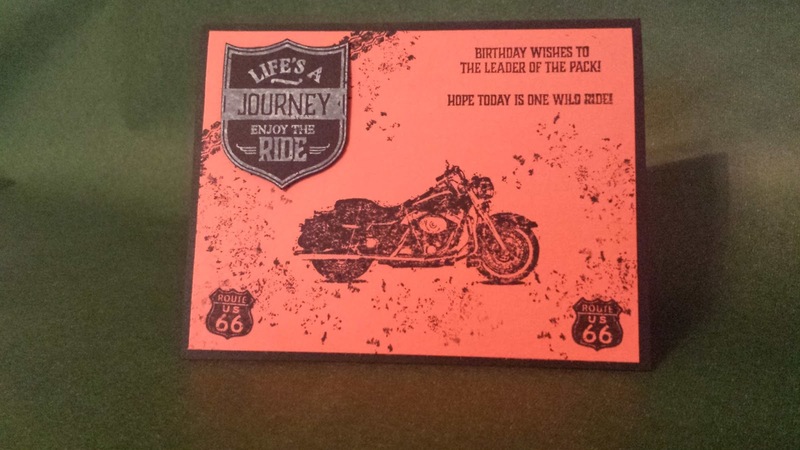 Crafty Craver Creations: One Wild Ride! 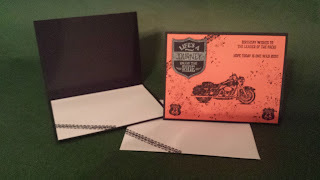 I am SO excited to play with my new Stampin' Up stamp set One Wild Ride! Two of my favorite things to do is ride my Harley Davidson motorcycle and paper craft. With this set I feel sort of like I'm doing both. Below is how I made this card. Calypso Coral front is 5.25" x 4"
Whisper White inside is 5.25" x 4"
First I stamped my shield on Basic Black cardstock using Whisper White ink. I cut around the shield using my snip scissors. 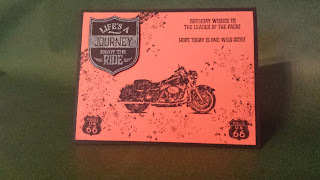 Next I stamped the motorcycle, tire mark, sentiment, Route 66 signs, and the street grunge. I also stamped the inside of the card and the envelope with the tire mark. Then I assembled my card. You can't really see it but I used a Stampin Up dimensional for the shield so it would stand out. 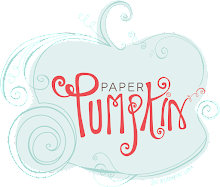 I loved how this turned out so I made 12 more for a card swap with my Stampin Up team mates!